A pointed arch based on two segments of a circle, usually of the same radius. A Gothic or pointed arch based on an equilateral triangle. The sketch above shows the set out for this most commonly seen of pointed arches. 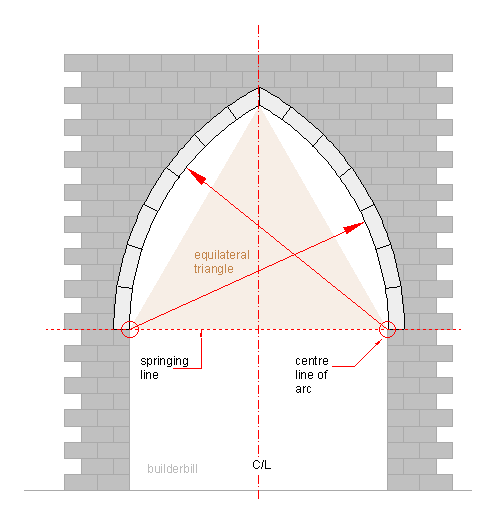 The equilateral Gothic arch. This is in fact the defining feature of Gothic Architecture. Easy to set out and easy to build. 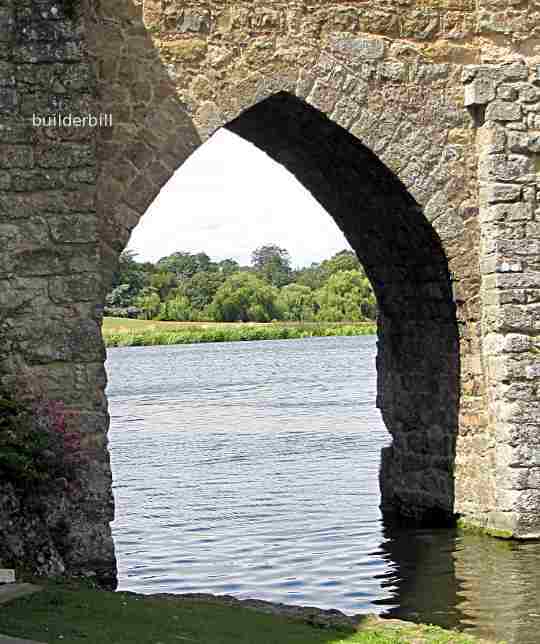 Above is an arch across part of the moat at Leeds Castle in Kent. Although the castle dates from the twelfth century I seem to remember that a fair amount of rebuilding work has gone on and this arch is probably no more than two hundred years old. Looking at any photos like this it is very hard to judge the specific geometry but it is definitely close to being an equilateral arch. 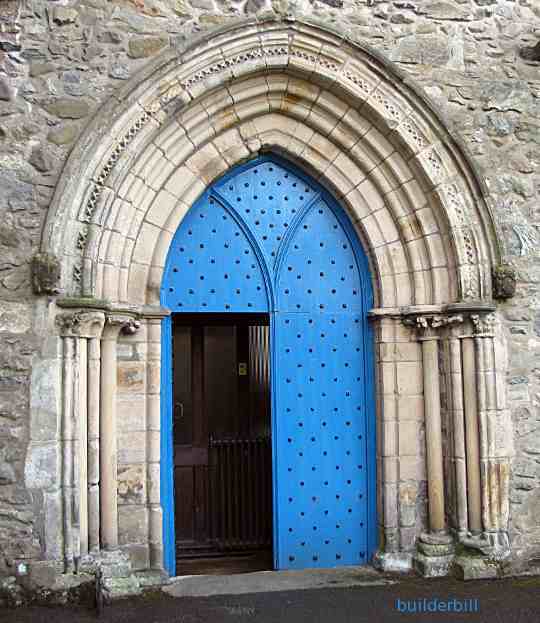 A classic early Gothic arched doorway at Cartmel Priory Church in Cumbria, UK. The door opening in the stonework is an equilateral arch, with the succeeding rings of decoration all being set out from the same two arc centres. That is they are concentric, having common centre points.